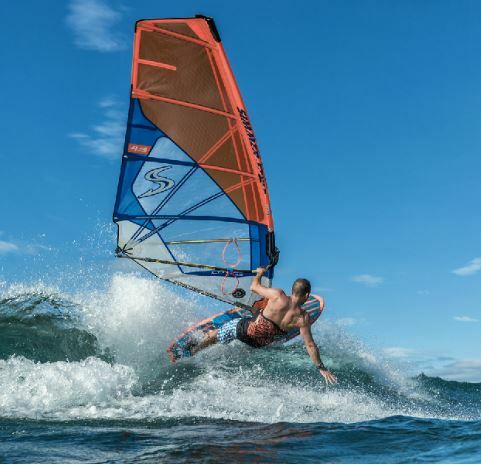 Welcome to Simmer Style 2019, with another step forward in redefining what is possible in wave sail performance and construction. We introduce to you the new Tricera, Blacktip and Icon Sails, aswell as the new Legacy versions of the Blacktip and Icon. The Blacktip has become more direct, more precise and more stable than ever, resulting in an ideal down the line sail that transitions from powered up to neutral in an instant. The Blacktip Legacy combines these characteristics with bombproof X-Ply and PVC construction to see you survive even the most brutal of crashes. The best selling Icon sail has also seen changes for 2019, with the overall result being a more consistent and stable feeling sail that’ll tear apart any spot across the world with ease. The Icon Legacy takes the crown as the travellers’ sail of choice in our eyes – super versatility matched with super strong X-Ply/PVC construction means you’ll have the perfect rig for wherever you’re headed, without the worry of a crash cutting your trip short! As an introductory offer, we have listed ALL 2019 Simmer Style sails at 2018 Simmer pricing for all those who pre order now for delivery in September. This is a limited time offer, and as such you need to move quick to bag a massive discount off next years sails – a rare opportunity!